There’s so much to see and do at ‘the loveliest castle in the world’ that you will be spoilt for choice on this special day trip to one of the UK’s top attractions! Visit and explore the previous home of Henry VIII and first wife, Catherine of Aragon, including the fascinating royal State Rooms and beautiful surrounding parkland. Venture through the castle fortress, uncovering its rich history and secrets before heading over to the world-famous maze! But have your wits about you – this maze isn’t as easy as it looks! 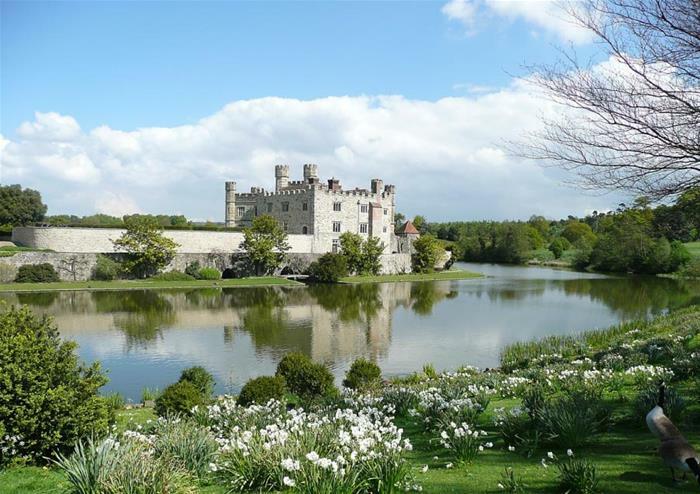 Enjoy a beautiful punt along the moat and soak in the best views of Leeds Castle from the idyllic waters. Settle down in the wooden punt and relax as a Puntagenet takes you on a special guided tour of the Castle’s gorgeous surroundings. Be blown away by the fascinating falconry displays at Leeds Castle with 30 minutes of thrilling demonstrations. Featuring a variety of birds such as Hawks, Vultures, Falcons and Owls, it will definitely be something you won’t be forgetting in a hurry! (Starts at 2:00pm daily). Aside from the beautiful fortress, Leeds Castle is set in exquisite grounds that will have you clicking your camera from the moment you arrive. Home to a vast array of wildlife in the 500 acre estate, you will get to discover great-spotted woodpeckers, jays and sparrowhawks. You’ll also get to catch a glimpse of gorgeous captive black and whooper swans on the moat! 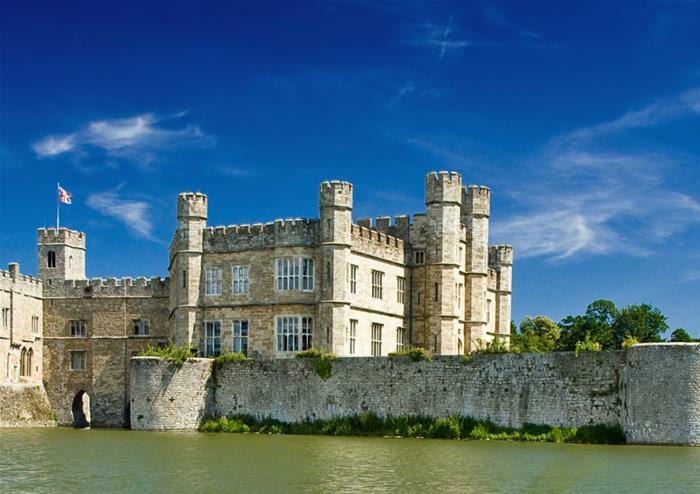 Once you’ve explored the beautiful Leeds Castle and ventured through the royal State Rooms, you’ll get to enjoy your idyllic punting on the moat experience. 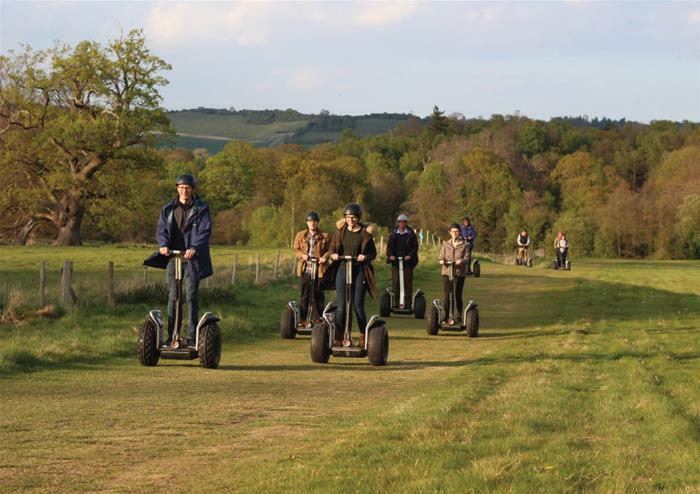 To complete your Leeds Castle package, you can add a Scenic Segway Tour to your day! This unique and wonderful way to explore the Castle grounds gives you a fascinating perspective of the Castle that you’ve never seen before. 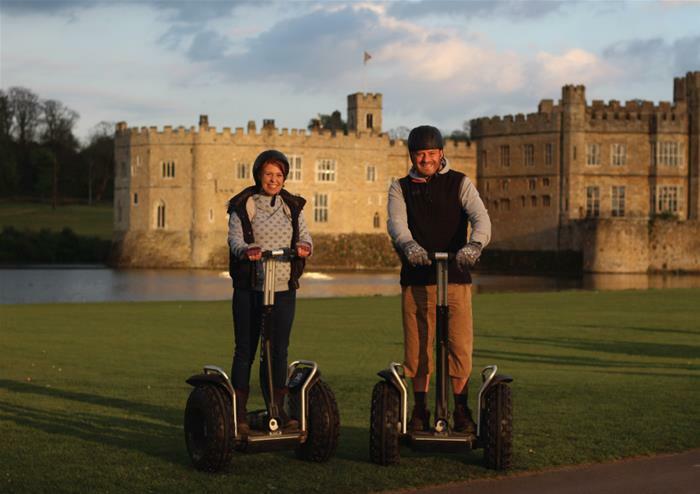 Led by an expert guide throughout, you’ll get to cruise along the exquisite grounds of Leeds Castle on your very own Segway as you discover more about this historic fortress. 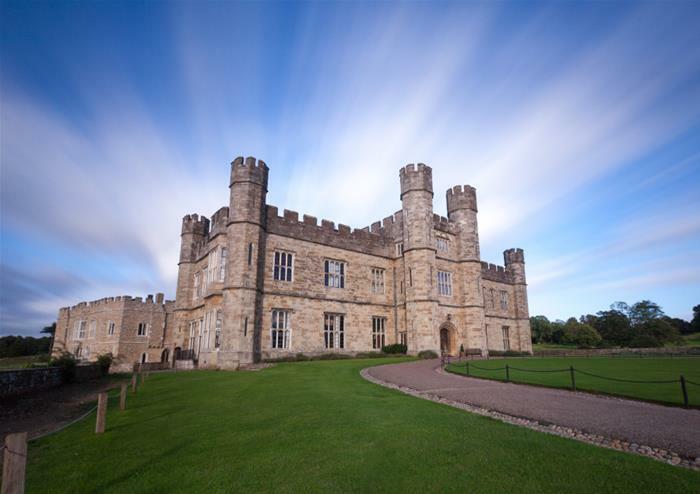 Eliminate the stresses of finding your own way to Leeds Castle with return transportation to and from Leeds Castle. On-board our luxury air-conditioned coaches, you can sit back and relax all the way to the Castle and back again to the hustle and bustle of London!